The Filipino value for education is immensely essential that our youth-learning/studies are prioritized among other needs. When World War II broke out in 1940, the education for our youth was disrupted. At their tender ages, many courageously defended the country by joining the resistance Filipino and American soldiers, while the rest simply settled unproductively in the cities, countryside, in the farms, and in the evacuation sites. It was such a very sad scenario for any Filipino youth highly motivated to attain a higher education. After the liberation, most if not all parents returned to their homes and eagerly wanted to send back their children to school. But because of the destruction of many provinces and towns where many roads were out of shape, the parents had the difficulty of fulfilling their dreams sending their children back to school. Meanwhile in Tandag, a private school had been put up by the Sacred Heart Missionary Priests since the first decade of the 19th century. Tandag was already a thriving community by then with a population of around four thousand residents. Initially, this private school efficiently served the youth in their quest for knowledge. As the years went on however and as the students’ population increased, this private school was unable to accommodate all the students from Tandag alone. In addition, children of low income parents had the difficulty of pursuing secondary education due to the expensive tuition fees in this educational institution. In 1961, when the province of Surigao was divided into Surigao del Sur and Surigao del Norte, the appointed members of the Provincial Board, Governor Ricaredo Castillo, Vice Governor Tomas Pareja and Board Members Jacinto P. Elpa and Vicente Murillo, had worked hard for the development of the youth through education. They envisioned that a government high school with free education would soon be realized in the province. Their dream came true when the elected officials: Governor Adela Serra Ty, Vice Governor Agusto Arreza, Board Members Osias Verano and Tito Cañedo, Sr., initiated the opening of the school. On May 26, 1964, a resolution number 952-A was passed requesting the establishment of a complete provincial high school effective upon the opening of classes for the school year 1964-1965 through the representation of Congressman Vicente L. Pimentel, Sr. Thus, the idea of a public high school came to a reality and Tandag Provincial High School came into existence which paves the way for the poor but deserving students to continue their studies in the secondary in preparation for college and the field of work. There were only 120 students enrolled in the first and second years. Classes were held at the private house of Mr. and Mrs. Vicente Cabrera, and the task of running the school was given to an active man, Mr. Ramon Perez, as Principal, with Mr. Julius Cesar, Mr. Sofronio Dogoldogol, Mrs. Emelia Pipino, and Mrs. Adoracion Raymundo as members of the first teaching staff. Not long after, in its succeeding years of operation, the enrollment rose to more than 640 students. More teachers were hired, while classrooms, equipment and supplies were given by government authorities who were helpful and responsive in supplying the needs of the school. For the growing populace of students, the school rented the Pimentel Building which served formerly as the office of the Court of First Instance, now Christian Royal Hotel, while the other two sections of the fourth year were housed at Mr. and Mrs. Malaquias Cortes’ residence. In 1969, the school transferred to its present site which was previously dubbed as the Red Mountain, now Capitol Hills, using some of the rooms of the Capitol Building, while construction of an L- shaped building was going on. There were only 12 rooms which included the Principal’s office, the library, Industrial Arts room, Home Economics room, and two laboratory rooms for Biology and Physics. First and Second year classes were held at the unfinished rooms of the Capitol Building. The location of the Sports Complex site was then the garden of the First and Second year students under the guidance of Mr. Eterio Grefalde and Mr. Blas Polinar Jr. in the same year. The school boasted a Glee Club composed of selected students from the first to Fourth year levels. It was dubbed as “The Only Glee Club” in Surigao del Sur. Miss Teresita Pareja had shared her love for music and her talent during the active years of Tandag Provincial High School Glee Club. In almost all activities of the different National and Provincial offices of the province, the Glee Club was always invited where they proudly and efficiently performed. In 1971, Miss Rufina G. Luna and Mr. Lupo Balansag, members of the faculty, formed the Editorial Staff of the school organ. Miss Luna named it “The Hillcrest” and the school had started releasing the school paper to the students since then. The school was excellent in both academic and extra-curricular activities. A lot of students passed scholarship examinations and became scholars of different colleges and universities all through out the country. In military aspects, PMT then had Mr. Calixto Espinoza who excellently handled the Fourth year students and won accolades from Inspecting teams because of its training and discipline. In its early operation in the new location, Tandag High School experienced hardships as it lacked classrooms and other facilities to sustain teaching-learning activities. Yet, all teachers went through these trials, unmindful of the absence of amenities they needed although. Anyhow, it cannot be denied that it affected the performance of both the students and the teachers. These period was now comically hailed as the baptism of fire. During which, some classes were held in the grandstand of the Gov. Gregorio P. Murillo Sports Center, in makeshifts built by the PTA and more pathetically on shaded areas under the trees of the campus. Unfortunately, with all the achievements cited, Mr. Ramon Perez, the energetic principal, died of heart attack and thus, leaving the position vacant. After his death, an active and talented young Science teacher, Mrs. Gloria Espinoza was designated Officer-In-Charge for a year. Later she was promoted as Science Supervisor, leaving behind the position of the principal vacant again. 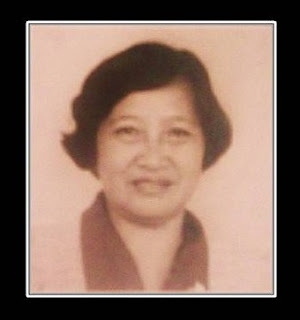 The vacancy passed on to another active, talented, and intelligent young teacher Miss Rufina G. Luna who efficiently handled the position up to school year 1989-1990. She was ably assisted by another hardworking Assistant Principal -- Mrs. Grace E. Crispo. On September 27, 1990, Miss Rufina G. Luna died and her outstanding leadership as Principal of the school was missed not only by the students and her teachers, but by the people in the community as well. 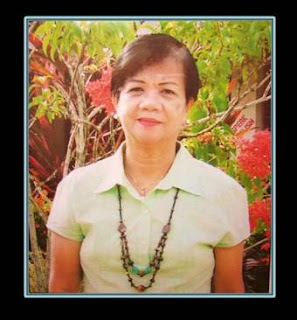 Immediately, Mrs. Grace E. Crispo, the Assistant Principal assumed the position as Secondary School Principal II up to October 31, 2003 upon her retirement at age 65. on November 1, 2003, Mrs. Imelda C. Falcon, who rose from the rank of a classroom teacher of this institution to an English Education Supervisor 1 of the Division, came back and assumed the position as Secondary School Principal III up to the present. She was only 32 years old when she assumed Principal of JPENHS on July 1, 1978. 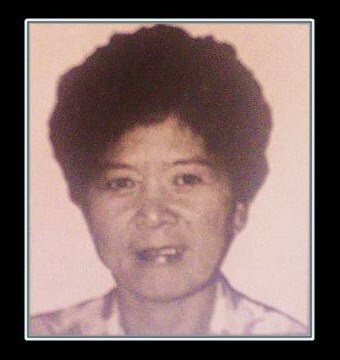 She effeciently performed her duties for 12 years until her death on September 27, 1990. Principal of JPENHS from November 1, 2003 up to the present. Many had wondered why the original name of Tandag Provincial High School which was attached to the institution at its inception was later on changed to “JACINTO P. ELPA NATIONAL HIGH SCHOOL”. It was named in memory of the late former Mayor of Tandag, and Ex-Provincial Board Member Jacinto P. Elpa, whose burning obsession during his tenure as a public servant, was the education of the youth of Tandag and the entire province. The change of name was adopted by Resolution no. 79-11 of Sangguniang Panlalawigan, this province in its regular session on February 1, 1979 and approved by the Secretary of Education Juan Manuel. Upon the approval of Republic Act # 6655 on May 26, 1988, which is the Free Public Secondary Education Act of 1988, followed by DECS Order # 5 s. 1989 by Secretary Lourdes Quisumbing for strict implementation of Section 7 of the newly approved RA # 6655, Jacinto P. Elpa High School was outrightly changed into “JACINTO P. ELPA NATIONAL HIGH SCHOOL” bearing this school name since then to date. Former Mayor of Tandag and former Board Member in the Province of Surigao. Resource Entities: Mrs. Francisquita Cosmiano, the Assistant Principal and Mrs. Nilda Mendiola, Planning Officer In-Charge.